Charming decks, open layout & a great wood stove to warm you in the winter months are just a few wonderful things youâll love about this little hidden gem of a home. 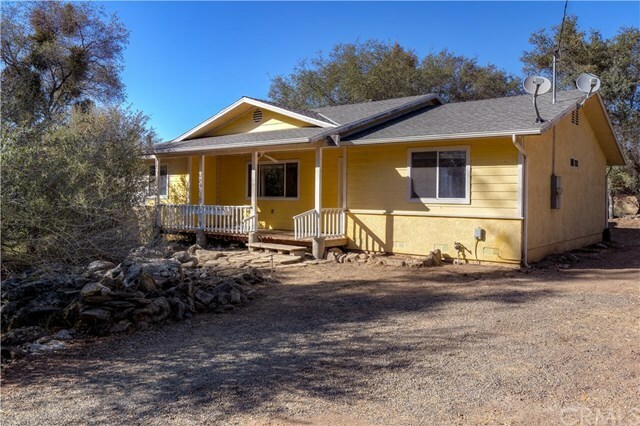 The home is 1560 sq feet with 3 bedrooms, 2 bathrooms & sits on 1.3 acres. Located about 30 minutes North of Fresno in Yosemite Lakes Park. Youâll enjoy itâs fantastic amenities such as the club house, restaurant, pool & 9 hole golf course, park & baseball diamond!! With just a little TLC this house will shine once again. Call today to see all this home has to offer. Directions: Hwy 41 to Yosemite Springs Pkwy. Right on Revis Way. Home will be on the left side of Revis Way.